CINCINNATI -- The Queen City's production of greenhouse gases decreased over the last decade, but the region's air quality remains worse than average. Those conclusions come from separate reports that the city of Cincinnati and the American Lung Association released this year. Between 2006 and 2015, the city saw nearly a 20 percent overall reduction in greenhouse gas emissions , while the Cincinnati-Middletown-Dayton region ranked 20th on the lung association's list of most polluted cities for year-round particle pollution in 2017. As far as greenhouse gas reductions, the Cincinnati area outpaced the national average, which the Environmental Protection Agency clocked at a little more than 11 percent across the country since 2005. Even without looking at the numbers, Covington resident Cory Bankemper, 31, can feel the poor air quality with nearly every breath he takes. "I was born with allergies -- a lot of them," he said. "Plants, animals, mold, dust. You name it, I'll sneeze from it." Bankemper is not unique. Doctors at the Cincinnati Children's Hospital Medical Center released data earlier this year showing that the region sees higher rates of asthma in children than the national norm , with roughly 36,000 cases in Hamilton County alone. Cincinnati is not new to the lung association's "most polluted" list. "Cincinnati faces some unique air quality challenges compared to other Midwestern cities," said Larry Falkin, who heads up the city's Office of Environment and Sustainability . His department produced the findings of the 10-year Greenhouse Gas Emissions Inventory report , a study City Council voted in August to extend. He said it has a lot to do with the region's landscape. "It's not because we produce more pollution than the average city, but because our location in a deep river valley causes pollution to hang around longer," he said. Bankemper said he's not surprised Cincinnati's air quality is below average and adds the region's humidity to his explanation for his respiratory troubles. "I had zero symptoms (while traveling) in Greece and Cuba," he said. "The air quality in Cuba was bad, but I only blew my nose once while there. Add high humidity as a result of the river and it makes for a gnarly combination (here)." The region's history with manufacturing and other heavy industries combine with the area's topography and compound the pollution problem. The interstate 71 and 75 corridor, one of the busiest freight throughways in the nation, carries some 180,000 vehicles per day through Covington and Cincinnati, two of the Tri-State's most populous urban centers. Residents are also heavily reliant on cars to get around: More than 90 percent of Cincinnati commutes involve a single-occupant motor vehicle, according to the U.S. Census Bureau. All of these factors created a unique challenge for Falkin and his team, who said Cincinnati still has work to do, but has come a long way in 10 years. Phasing the city out of using coal as its primary energy source was crucial, he said. "Cincinnati’s air quality has been steadily improving for decades, as industry and vehicles become progressively cleaner," Falkin said. 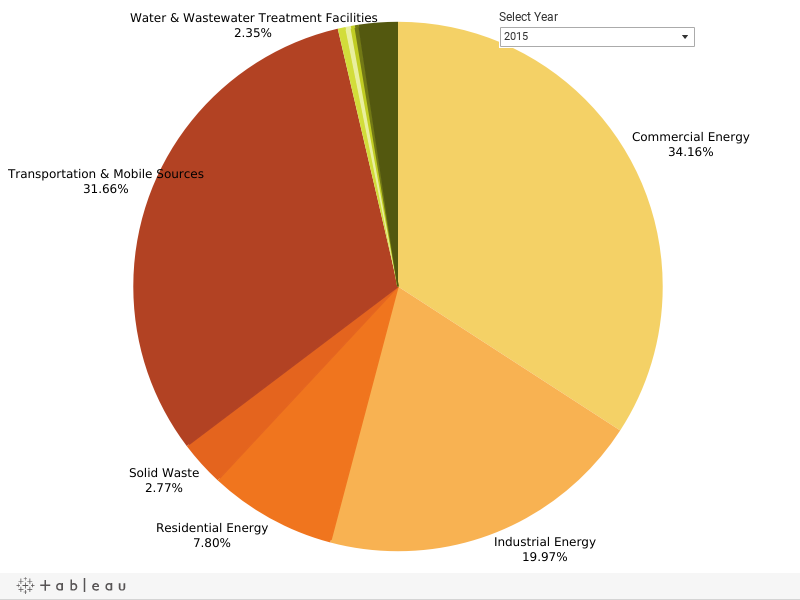 Beyond moving away from coal, measures like switching street lights to LED bulbs, upgrading public facilities, improvements at the Metropolitan Sewer District, fuel-efficient city vehicles and solar-powered buildings helped the city cut carbon emissions from government-owned facilities by more than 35 percent over the decade studied, according to the report. That's double the goal of a 2 percent reduction per year. The city's neighborhoods overall saw an 18 percent reduction in 10 years, Falkin said. Beyond government facilities, Duke Energy began offering incentives for property owners and businesses that chose to upgrade to more energy-efficient infrastructure. The city also has actively pursued federal aid for programs and projects that would improve the region's air quality. The Wasson Way mixed-use trail project received in 2016 a Congestion Mitigation Air Quality grant from the U.S. Department of Transportation for connecting more than 10 city neighborhoods via alternative modes of transportation. The same project also won a $500,000 Clean Ohio Trails grant from the Ohio Department of Natural Resources. This past summer, the city acquired from Norfolk-Southern Railroad the last portion of the right-of-way needed to connect the 11-mile trail. The city has not announced a groundbreaking, but construction is expected to begin this fall. Meantime, Falkin said his department is in the process of drafting a refreshed "Green Cincinnati" plan on how to be more environmentally friendly. It will include the guidance of a steering committee comprised of government, corporate, academic, nonprofit, faith and community organizations. In November, committee members will lead task force seminars focused on energy, transportation, waste management, food and education and outreach, among other topics. Falkin said he hopes to have the refreshed program ready to launch by January 2018. 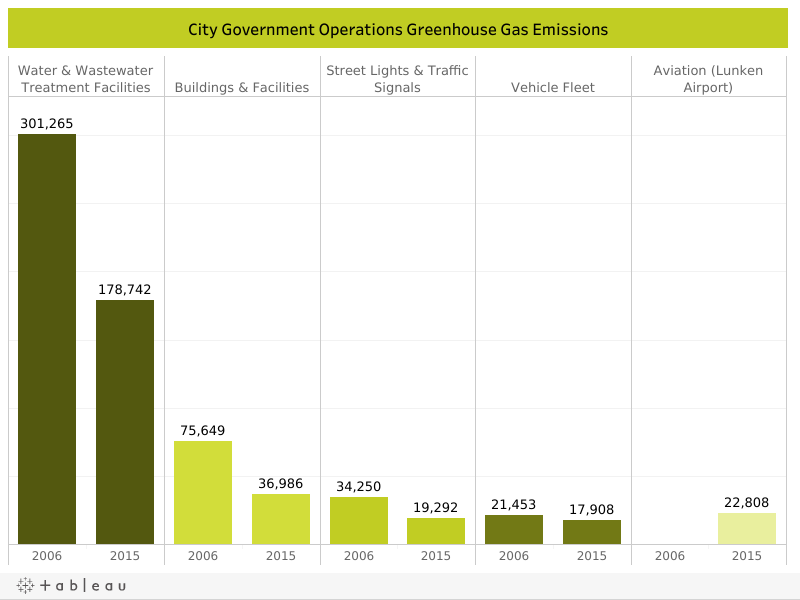 Graphics provided via the City of Cincinnati Greenhouse Gas Emissions Inventory report.